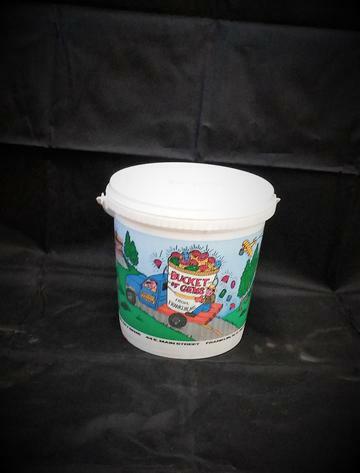 This 1/2 Gallon Bucket Contains Pre-Washed gem bearing gravel mined from Macon County NC. You will only find gem material from our area and nothing "enriched" from other regions or countries. You will be looking for Ruby, Sapphire and Garnets as well as other Macon County gemstones like Rutile, Seleminite, Kyanite, and various Quartz types. Do not expect pounds of material in these buckets but what you find a gem it is authentic, genuine and from the gem deposits from Macon County NC. Best buy 3 for $125.00 includes shipping!!!! If you would like to purchase more than 3 buckets at a time, please email our sales staff to set up arrangements. Do not order more than 3 at a time, for it will not be calculated correctly.